I'm always, always, always looking for a good slow cooker recipe, but you'd never know it because I rarely use mine. Every time I use it, I think to myself (ok, probably out loud a lot too), "Why don't I use my crock-pot more often?" Probably because it is hard to find a good recipe. Each recipe I've posted on the blog has been great, but many of them are foods I don't want to eat all the time, with the exception of the shredded beef for tacos. While this isn't something we'll eat on a weekly basis, we've had it twice in as many months, so that's saying something for a slow cooker recipe. It's slightly sweet, very tender, and plenty juicy! It's great over a bed of white rice and a side of roasted veggies! 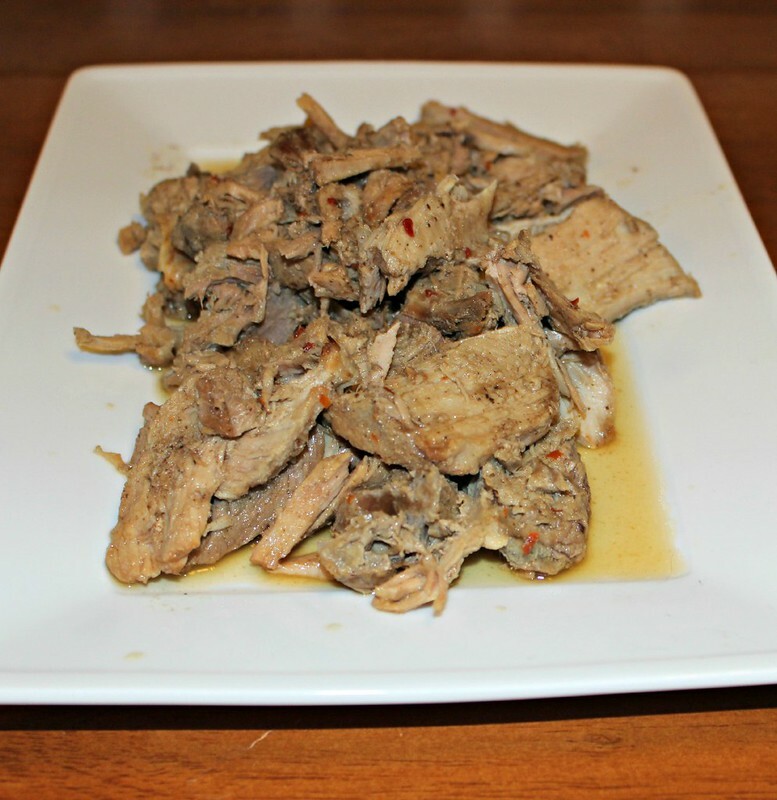 Season the pork with salt, garlic powder and red pepper flakes and place in the slow cooker. Mix broth and vinegar together, pouring over pork. Drizzle pork with honey. Set slow cooker for 4 hours on high, or 6 hours on low. Once the pork is cooked through, remove with tongs to a bowl, and shred using 2 forks, or the tongs. It should be very tender, practically shredding itself when removed from the crock-pot. Add 1/2 cup of the remaining sauce and keep warm until ready to serve.